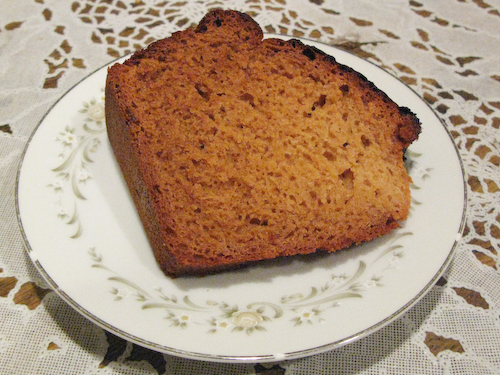 This is a simple Russian recipe for a Jewish honey cake that my grandmother and aunt call “Lekah” though it’s hard to find any reference for that name online. 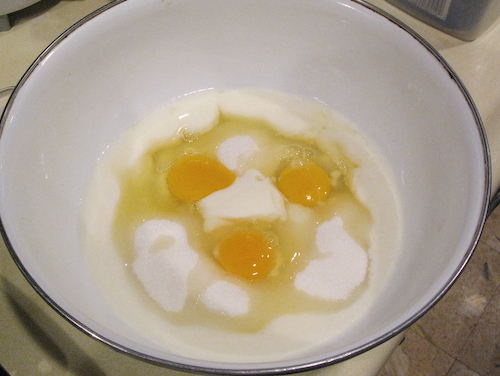 Combine the honey, kefir, sugar, eggs in a large bowl and mix until a uniform mixture forms. 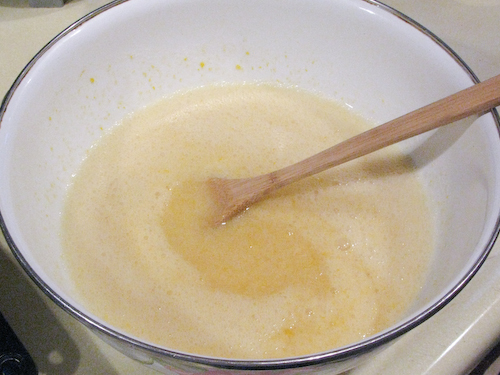 Combine the baking soda and vinegar in a cup and stir vigorously. Add the contents of the cup to the mix. 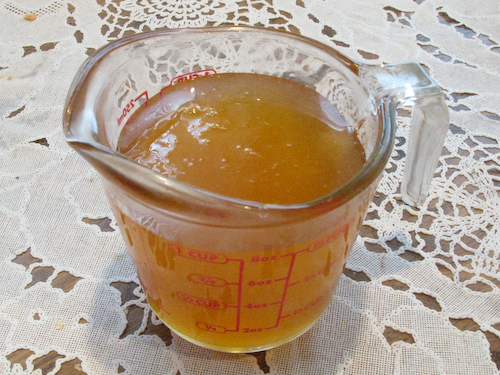 If the honey has hardened, you can put it in the microwave for 30 seconds to liquefy it. 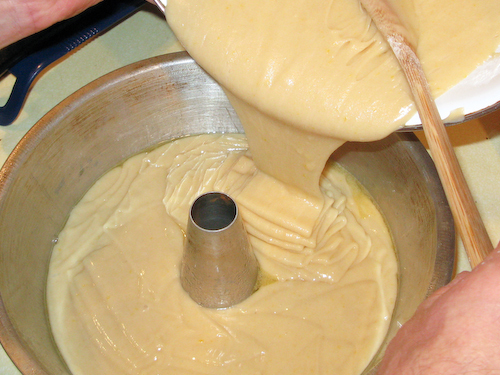 Slowly add flour, stirring the mix until a thick consistency but still pourable forms. 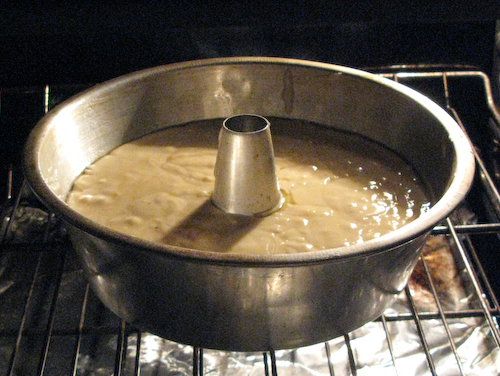 Preheat oven to 350 F and oil a cake pan. 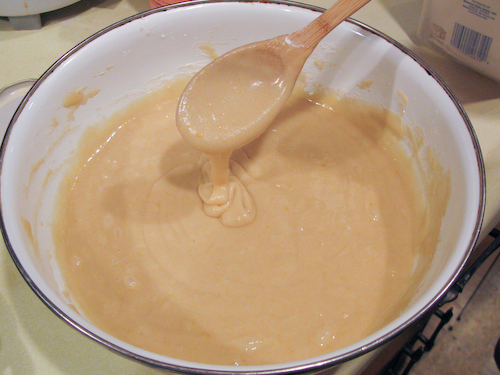 Pour the mix evenly into the pan and place in the oven. 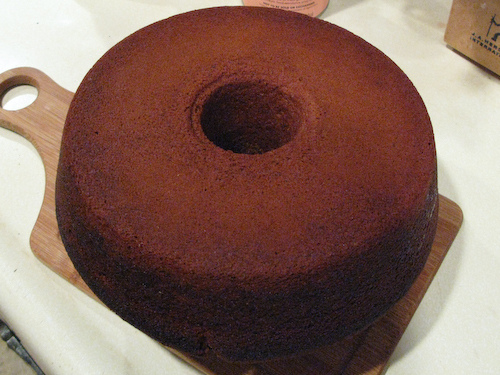 Bake at a maximum of 350 F until the inside of the cake is cooked through. 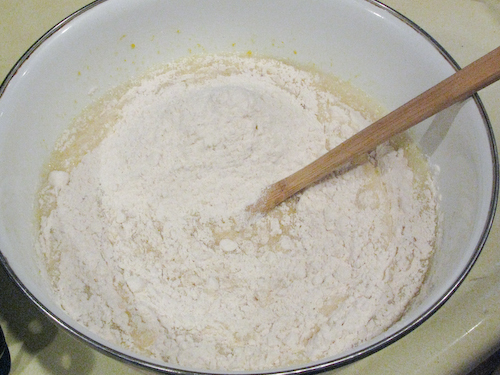 Add raisins to the mix or frosting after baking if you wish. Enjoy! Posted in: Desert, Holiday, meat-less.